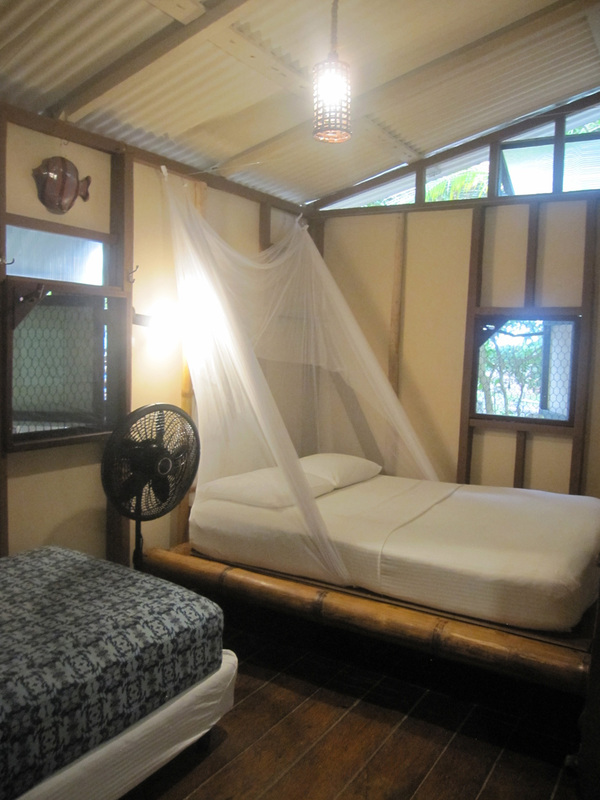 At Little Corn Beach and Bungalow, we offer four charming, unique “Nicaraguan Rustic Chic” cabin styles that provide the perfect accommodation for couples, families, thrill seekers, budget travelers and those simply looking to unplug and relax while on Little Corn Island. 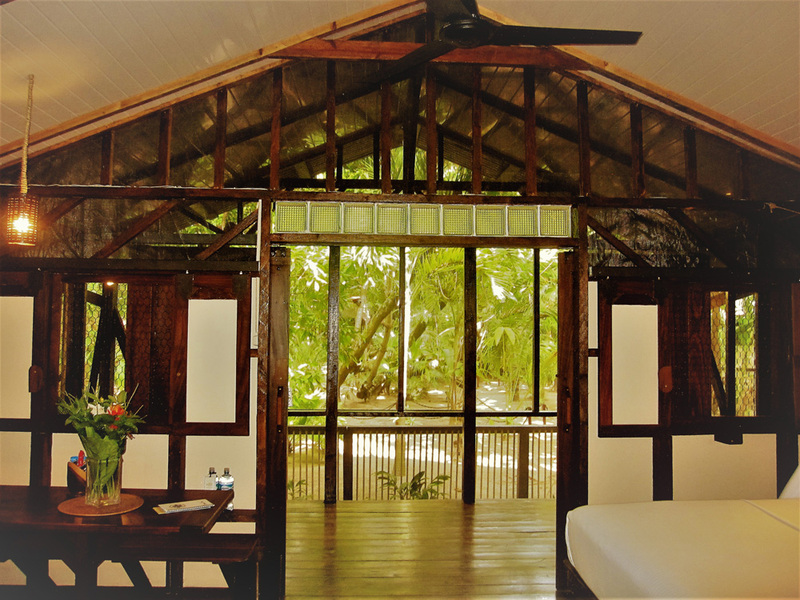 Our cozy boutique hotel and beach cabins offer accommodations are specifically designed to be large, open, comfortable and roomy to take advantage of natural lighting and the refreshing Little Corn Island sea breeze. 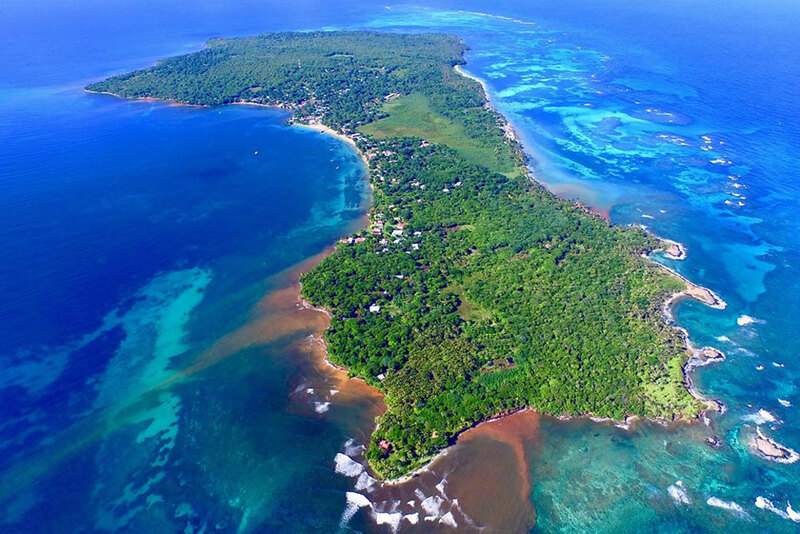 Moreover, our goal is not only to be the best boutique beach hotel on Little Corn Island but also the best cozy, charming, boutique beach hotel in Nicaragua. In short, we want to be the best Little Corn Island hotel and restaurant. Come visit and see how we are doing. We would love to hear how your experience turned out. Our attention to detail means the accommodations of Little Corn Beach and Bungalow are tastefully decorated in a charming tranquillo castaway inspired style and meticulously cleaned, painted and maintained. This everyday attention to detail sets us apart from most other accommodations on or around the Corn Islands of Nicaragua and makes us (we hope) one of the best kept hotels in Nicaragua. *Four Master Suite Gulliver bungalows, two Master Suite Crusoe bungalows and two Standard Crusoe bungalows are all located directly on the beach and have beautiful sun dappled ocean views. *Our Master Suite Gulliver Garden View bungalows, Livingstone and Fawcett Z, are located in the garden area and are only a 45 second walk to the beach. 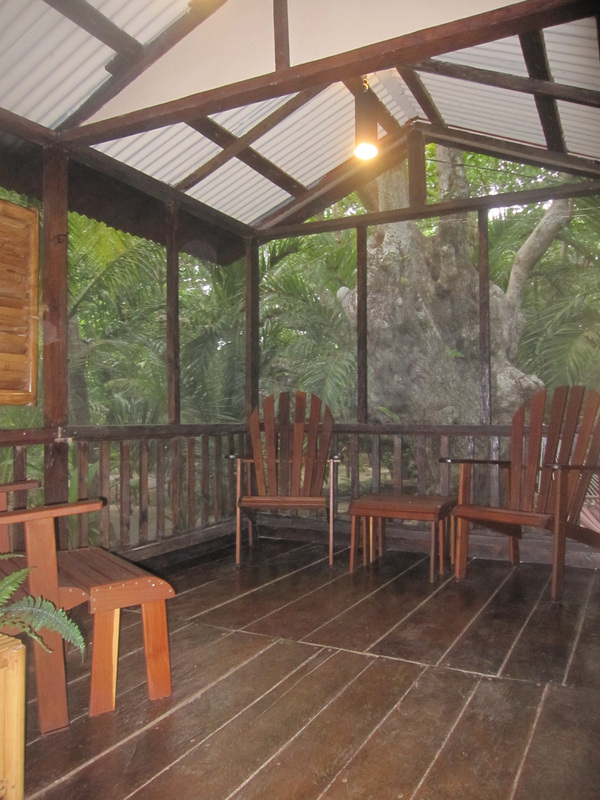 These two garden located suites are our largest, nicest, most private and comfortable cabins. Once people have stayed in a Master Suite Gulliver Garden View bungalows, they typically don’t want to leave for a beach front cabin. Bunkhouse cabins are also located in the Gardens. For a complete list of Bunkhouse features, click here. 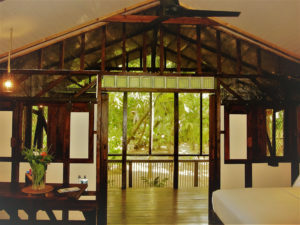 Our Master Suite Gulliver bungalows are our most comfortable, spacious and airy choice of accommodations. With nearly 300 square feet of living space on the main floor, the Master Suite Gulliver’s feature a orthopedic KING SIZE BED with 4 king size pillows for a fabulous nights sleep and luxurious mosquito nets. 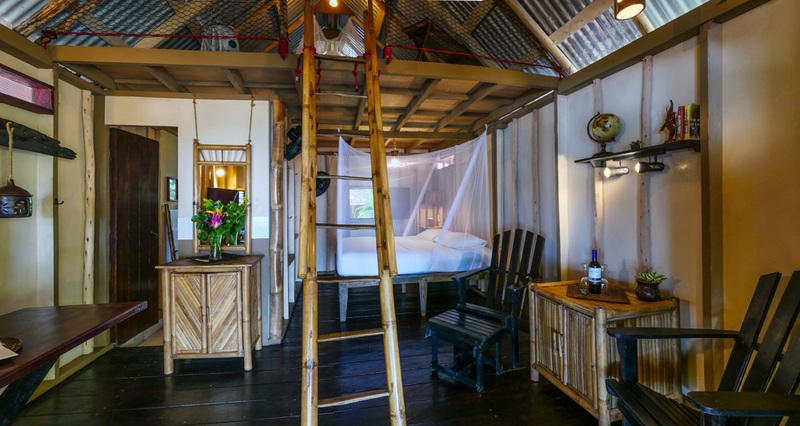 For families with children OR those in need of two beds, the Master Suite Gulliver is ideal because it also features a smaller sleeping area loft accessible by a bamboo, navy style ladder that contains a DOUBLE BED with its own fan and lights. The loft sleeping area is smaller and may not be appropriate for two adults who might be expecting a large bedroom retreat. A small military style cot with net can be added upon request for a third bed. Perhaps one the most important features of the Master Suite Gulliver Bungalows is the seamless and continuous eco-friendly rechargeable power in the morning. This allows 3 bed fans, and bathroom lights to work even after village power goes off around 5:00 or 6:00AM. 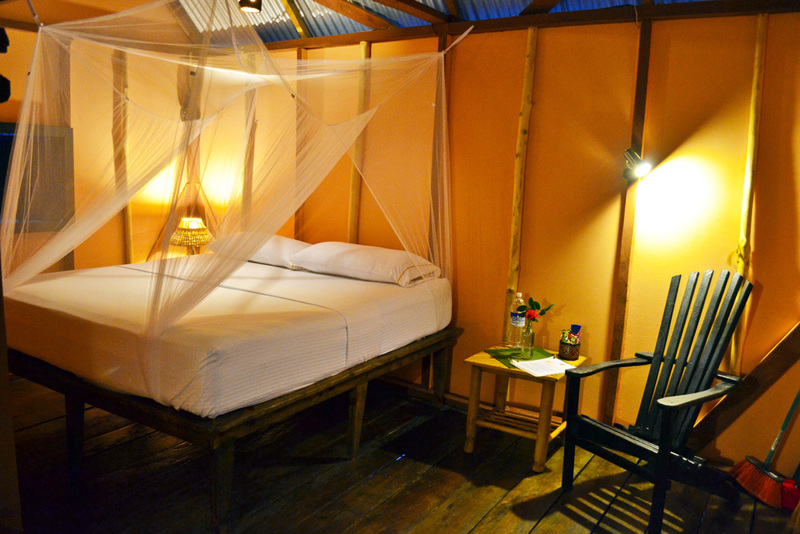 This affords our guests selecting these cabins an even better sleep for an extended period. Includes snack bowl, unlimited purified water and bottle of wine all complimentary for your enjoyment. In cabin Wi Fi included. Our largest and most comfortable cabins Livingstone and Fawcett Z, are garden located Master Suite Gulliver’s and are only a 45 second walk along manicured pathways through tropical foliage to the beach. 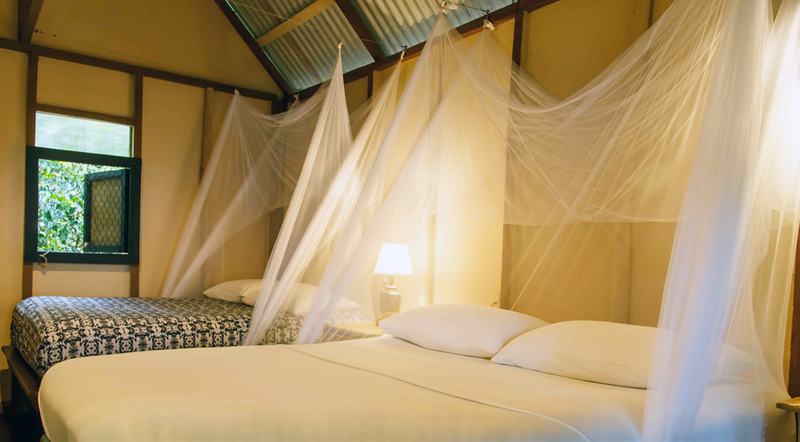 They are fully screened in and feature a large private deck (keeping the screen door closed at all times assures you of minimal insects), spacious en-suite bathroom and the most storage of any of our cabins. Well placed fans and an efficient ceiling fan along with abundant windows and sliding French doors keep this bungalow airy and comfortable (receives limited sea breeze since it is not situated directly on the beach but only 45 seconds away). These cabins are ideal for up to 3 people as they have a KING BED and a DAY BED in a studio layout. A small military style cot can be added upon request for a third bed. A Garden Master Suite Gulliver is perfect for those whom envision their tropical island adventure as private, serene, quiet, peaceful, romantic and comfortable. Includes snack bowl, unlimited purified water and bottle of wine all complimentary for your enjoyment. Honeymooners love these cabins! In Cabin Wi Fi included. Comfortable sitting areas and table for games, dinning, etc. 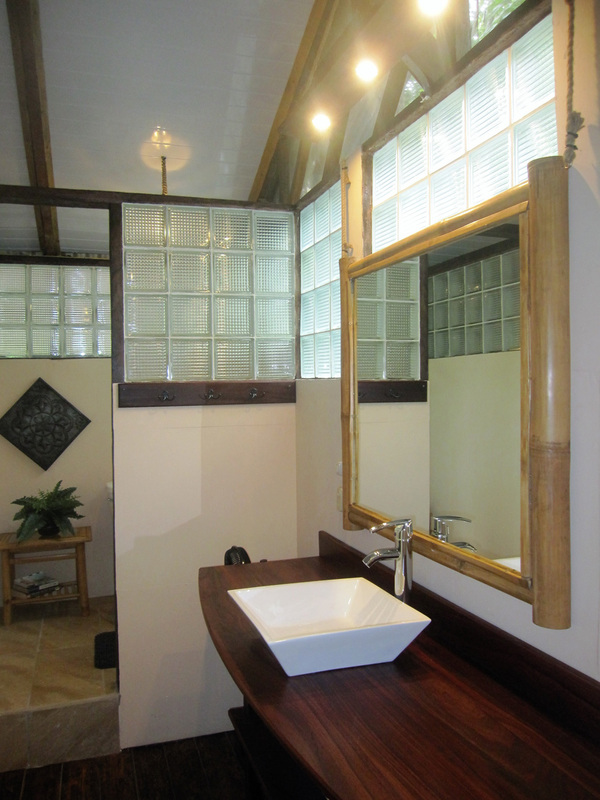 PLEASE BE AWARE – the Bunkhouse cabins SHARE (situated between the two private sleeping quarters) a bathroom and toilet. That means you could be sharing your bathroom with people you do not know! If you want more privacy, reserve a beach standard Crusoe instead. If you would still like to experience all that Little Corn Island Beach and Bungalow has to offer but have budget constraints, consider our Bunkhouse economy accommodations. Our Bunkhouses provide you all the convenience and relative luxury our resort has to offer, while staying in our secluded garden area. They are our smallest accommodations but are perfect for hippy happy types, those young at heart and economy minded travelers that don’t mind roughing it a bit. While the price is substantially lower and the accommodations more egalitarian, you get all of the other amenities (WIFI in cabin, fan, electrical outlets, clean white sheets, comfortable beds, bath towels, beach towels, security, toiletries, restaurant and bar, etc. ), that guests in our other bungalows enjoy. 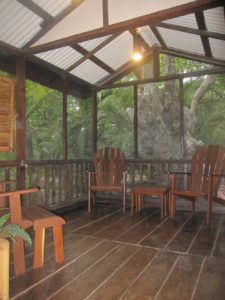 And, Bunkhouse cabins are fully screened including the deck. Keep the screen door closed and you will enjoy a relatively bug free environment. They are perfect for travelers or small families on a budget or buddies diving together and wanting a place to crash. These accommodations also works great for families who rent both bunkhouse’s for their stay. Sharing a screened in, comfortable and secluded common porch, these bungalows can be a great place to meet new acquaintances or simply relax in a nearby hammock. Located in our garden area, where our rescued iguanas reside ( affectionately known as the “Iguana Sanctuary”), the bunkhouses are two of the most peaceful and tranquil places at Little Corn Island Beach and Bungalow. 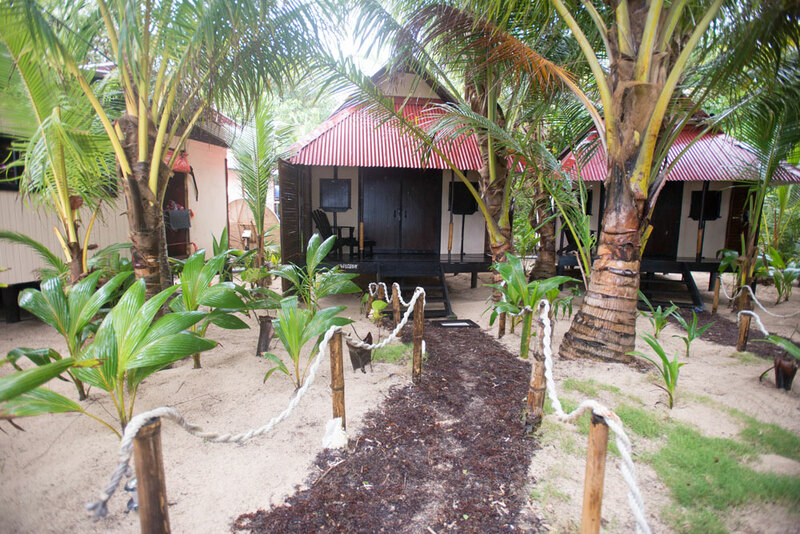 Just a 30 second walk to the beach on jungle pathways, the Bunkhouses are smaller economy private sleeping accommodations that SHARE A BATHROOM and deck. Please be aware, each private Bunkhouse room SHARES an attached Jack and Jill style bathroom with hot water shower (available when village power is available). We clean and prepare both the private sleeping quarters and the shared bathroom prior to a guests arrival, but, this does not prevent the possibility that your neighbor may use the bathroom between the time it is cleaned and your arrival. With this in mind, the bunkhouse is not appropriate for travelers who prefer a private bathroom, more space and privacy. Be sure to consider carefully the benefits and limitations of the Bunkhouse cabins before reserving them. Guests making Bunkhouse reservations sometimes overlook the fact that these cabins share an attached bathroom and make their reservations anyway only to arrive and be severely disappointed – please don’t make the same mistake! Bunkhouse 1 features three beds; a DOUBLE BED and BUNK BED (two singles stacked) and sleeps up to 4. Great for 3 or 4 friends who plan to spend most of their time diving or exploring the island and are on a budget. Bunkhouse 2 features two beds; a DOUBLE BED and a SINGLE BED and sleeps up to 3. A great option for the economy minded couple or a small family.